According to United Policyholders, big storms bring heavy rains and wind. On the insurance front, people who suffer property damage and losses from a large storm face possible complications collecting policy benefits to pay for repairs. Home and renters policies exclude some but not all types of water damage. "Flood" damage (your policy should define what the insurer considers a "flood") and earth movement are excluded. Water damage from sewers and drains that back up may or may not be covered, depending on the wording in the specific home/renters policy. If wind or falling trees cause damage to pipes or contribute to water getting into a dwelling, there may be coverage under a home/renters policy. 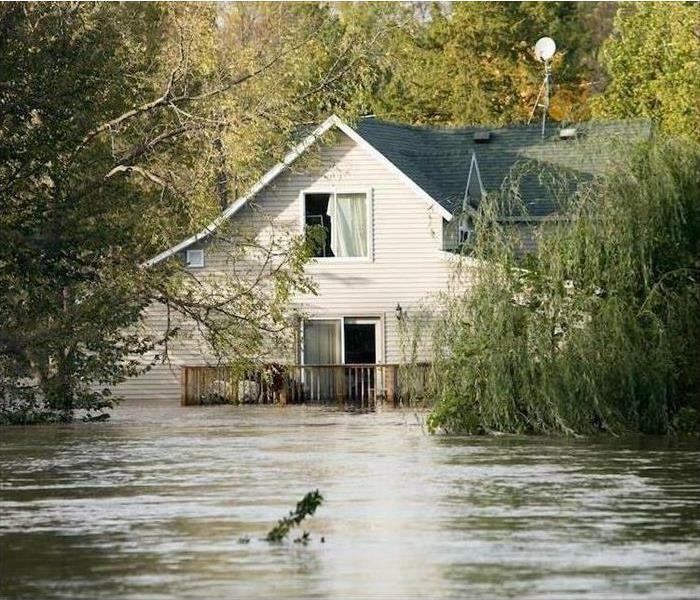 If you have a separate flood policy, flood insurance may cover damage from inundations and mudflow with a number of limitations and exclusions. To keep a clean record and avoid premium increases, don't file a claim until you review your policy and you think your loss will exceed your deductible and be covered. If the damage was sudden and accidental and triggered by the storm, don't accept a claim denial argument from your insurer or agent that it was due to faulty construction or maintenance. The insurer cashed your premium checks and insured your property "as is". If you file a claim and your insurer rejects it, make sure you get a clear and detailed explanation of their position. Claim and coverage disputes are rarely as clear cut as your insurer makes them out to be. The answer to whether your town or city will pay to repair flooding damage to your home is..."it depends." Each Spring consumers across the country experience billions of dollars in storm damage. The combination of warm, moist air colliding with cool, dry air, can easily result in severe weather and within moments, strong winds, damaging hail or a tornado can batter or complete destroy your home, car or business. The good news is that most severe weather-related events like tornadoes and hail storms are covered under a homeowners, renters, automobile or commercial insurance policy. When property damage does occur, and property owners move forward with repairs and the recovery process, we encourage residents to be alert to unscrupulous contractors. Contact your insurance company, agent or local chamber of commerce for references on potential contractors and ask for certificates of liability and workers compensation before signing contracts. APCIA encourages individuals with damaged property to use their insurance company or agent as a resource in helping to access the services needed to handle a claim and take the proper precautions to make sure they are hiring a reputable contractor to complete the job. Commercial Fire Sprinklers...How much Water do they release? What are automatic fire sprinklers? Automatic fire sprinklers are devices that are installed in the ceilings or on the walls near the ceilings that are essentially nozzles that will spray water on a fire - automatically. What sets a sprinkler off? Sprinklers are activated by heat, generally 135°F or higher. The only way there is going to be this much heat in a room is when there is a fire. How many sprinklers are set off by a fire? A vast majority of the time only one or two sprinkler heads activate. It is not like in the movies where you see all of them go off. Each one operates independently of the other ones and opens only if more water is needed to control the fire. Will a sprinkler go off all by itself if there is no fire? No. 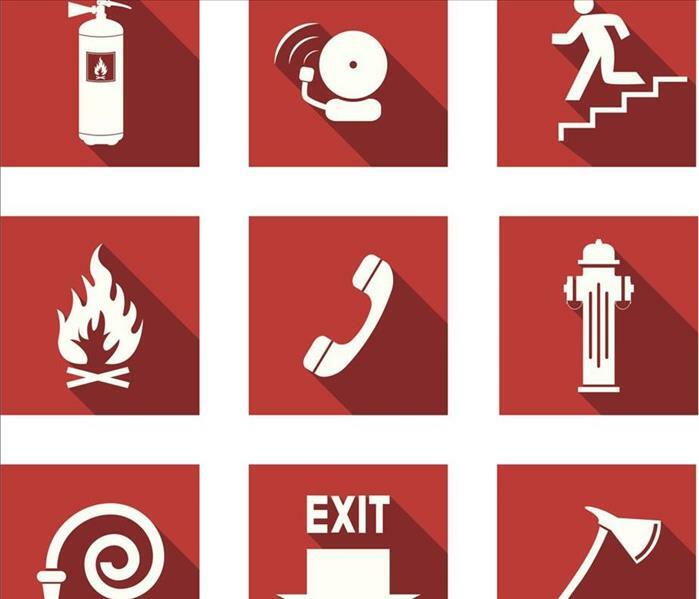 In residence halls, campus fire marshals say that the most common reason for sprinkler heads going off when there isn’t a fire are Frisbees and footballs. Sprinklers are pretty rugged, but even a direct hit with a football can be more than it will stand. Are sprinklers only in residence halls, hotels, and places like that? No, sprinklers can be everywhere--off-campus apartments, houses, restaurants, nightclubs, bars, and movie theaters. Look for them when you are out and especially in places where you are living or staying. Are sprinklers used in houses? Residential sprinkler systems are designed specifically for one- and two-family homes. Do sprinklers cause a lot of water damage? Typically you hear about the water damage that is caused by a sprinkler. What you don’t hear about is the damage that was avoided by not having a fire, or the lives that may have been lost. Wet contents can be dried out. Burned ones cannot be saved. Lives cannot be replaced. Burn injuries are forever. Water damage from a sprinkler system will be much less severe than the damage caused by water from firefighting hose-lines or smoke and fire damage if the fire goes unabated. Quick response sprinklers release 8 to 24 gallons of water per minute compared to 50 to 125 gallons per minute released by a firehose. While fire may be a common worry among homeowners, claims data from Travelers suggests their homes could be as much as 10 times more likely to be damaged by water than by fire. Fortunately, much of this water-related damage can be prevented, and taking a few simple home maintenance steps can help increase the chances of keeping a property safe. Travelers recently analyzed its homeowners insurance claims, excluding claims related to catastrophes, and found that damage caused by water accounted for 28 percent of its property claims, compared to three percent for fire. Furthermore, of those water damage claims, weather accounted for only five percent, meaning that proper maintenance within the home may help homeowners avoid some of these problems. Leaks from washing machine hoses: Washing machine hoses should be inspected annually and replaced every five years – or immediately, if there are any signs of cracking or bulging. Leaks from refrigerator ice machines: Ice maker connections, usually located behind the refrigerator, should be inspected annually and hoses replaced if they appear cracked or corroded. Clogged drain lines on air conditioning units: Air conditioning drain lines should be checked yearly. Homeowners should not risk doing the work themselves as there may hidden water or moisture that may go undetected to the untrained eye. Taking into account that mold growth can occur in as little as 24-48 hours in the presence of moisture, undetected water damage can pose long term problems if not properly handled. Improper cleanup could hinder property resale value. Homes and other properties are large and often expensive assets. Why run the risks associated with improper drying, deodorizing and disinfecting which can lead to potential secondary structural damage? Help protect your property’s value by calling upon a Professional. According to a “Residential Water Claims” article on the International Risk Management Institute website, restoration companies and contractors are often an asset in a water claim situation. The article states, “a major concern in today’s insurance climate is the problem of mold and mildew. When most restoration companies deal with water claims, every effort is made to prevent any problem with mold and mildew”. Restoration companies are in the business of salvaging rather than replacing, which could serve as a benefit to the insurance company. Why should I choose SERVPRO for water cleanup and restoration? SERVPRO recognizes the necessity for prompt and accurate response and offer 1-4-8 Response Guidelines to help minimize additional, secondary or permanent damage and contamination. In addition, SERVPRO is available for emergency response 24 hours a day, 365 days a year. Knowledge and training are key elements in effective water removal and moisture damage. SERVPRO applies their industry knowledge, training and understanding of how relative humidity, temperature, vapor pressure and air movement influence drying conditions. Powerful and professional equipment is essential for proper mitigation and efficient restoration of water damaged areas. SERVPRO is outfitted with state-of-the-art industrial grade equipment and products to measure the extent of moisture saturation and offer proper drying, deodorizing and disinfecting of water damaged areas. SERVPRO offers content restoration to restore water damaged contents and personal belongings. Often when water damage occurs, personal possessions are also damaged by water or moisture. SERVPRO technicians work diligently to try and return personal contents to preloss conditions. SERVPRO works with insurance, real estate, contracting and property management companies to offer complete file management, estimates and detailed explanations of work, including status updates, changes and feedback to keep companies fully aware of a property’s drying, cleaning and restoration status. At SERVPRO we know you want quality information and proof of results. SERVPRO technology is designed to support your efforts! Water damage is one of the major causes of loss in commercial residential properties. Each year there are numerous insurance claims for damage to residential buildings and their contents caused by water. The problem has increased in recent years through our increasing use of water in our daily lives. In the average residential property water is used in a range of domestic appliances, including: washing machines, dishwashers, water coolers, refrigerators with chilled water dispensers, etc. Also, showers with multiple heads and power showers are now commonplace. Premises adapted for people with disabilities often include wet rooms. All of these facilities represent a potential water damage risk if a failure occurs. Many modern residential buildings are now constructed from lightweight materials which are unlikely to withstand severe exposure to water. Ornate building features and contents such as carpets, curtains and valuable paintings are particularly sensitive to water damage. Mold or corrosion can develop and they may easily be damaged beyond economical repair or salvage. The unusual rainfall pattern seen in recent years has caused flooding in areas historically considered to be at low risk, and both the frequency and the size of flood losses has increased significantly. Many other losses are caused by failure of the building’s internal water supply system (eg. burst pipes). Buildings which suffer regular problems of water damage, whether it be from external sources such as rainwater ingress or flooding, or internal leaks from pipework, etc, are less attractive to tenants. They are likely to be more difficult to let and may well command reduced rental income compared to other similar buildings which do not suffer the same problems. This information is intended to assist property owners by providing information on the various ways in which water damage can occur in commercial residential buildings, and to suggest ways in which the risk of an incident and the magnitude of any subsequent consequential loss may be prevented or reduced. Although the guidance is aimed specifically at commercial residential buildings, the general principles apply just as much to most types of other commercial properties. According to the National Fire Protection Association, smoke alarms save lives. Smoke alarms that are properly installed and maintained play a vital role in reducing fire deaths and injuries. If there is a fire in your home, smoke spreads fast and you need smoke alarms to give you time to get out. When you consider the statistics, it becomes clear just how common and devastating a problem water damage can be. According to industry estimates, 14,000 people in the US experience a water damage emergency at home or work each day, and 98% of basements in the US will suffer from some type of water damage during their lifetime. The costs are just a staggering as the frequency. Water damage and mold cost the insurance industry $2.5 billion dollars per year, and the average cost of a home water damage insurance claim is $6,965. Water leaks alone leave incredible amounts of damage and immense waste in their wake. Water leaks from homes in the US can exceed 1 trillion gallons of water in a year. That's equivalent to the annual water usage of Los Angeles, Chicago, and Miami combined! These individual leaks often seem tiny, but over time they can generate enormous waste and damage to a home. For example, a continuously running toilet can waste over 200 gallons of water per day, and a 1/8 inch crack in a pipe can spill 250 gallons of water in a day. Although water damage can happen quickly and cause immense damage, there are ways to prevent a lot of it. If you live in a flood prone area, learn about steps you can take to prepare for a flood, including having flood control devices like sandbags or flood barriers on hand. If groundwater saturation is an issue for your property, ensure that your basement is protected with a high quality sump pump and a dependable backup system, like a battery backup sump pump or a water powered sump pump. Get in the habit of monitoring and maintaining areas in your home prone to water damage. Should You Invest in Crawlspace Encapsulation? Crawlspaces are a common occurrence in homes. If you have a crawlspace, keep in mind that it is more than just a place to store your holiday decorations. The crawlspace is the portion of the foundation that supports the entire structure. That is why it is important to keep the crawlspace in good health. If excess moisture is allowed to collect in the crawlspace, it can cause mold growth and may also lead to wood rot or rust formation, weakening the supporting structures in your crawlspace. That is why it is important to protect your crawlspace with crawlspace encapsulation with a vapor barrier (a kind of plastic or foil sheeting designed to keep moisture out). The main question is, is crawlspace encapsulation really worth the cost? Both having your crawlspace encapsulated with a vapor barrier and sealing off crawlspace vents will work in different ways to keep moisture out. While it may be more expensive, crawlspace encapsulation is the more effective of the two options. The most common method used to seal a crawlspace without the installation of a vapor barrier is simply to close the vents and have them sealed shut. One might also physically remove the vents and patch and seal the area where they were. Normally, this option is not very expensive. Other options to seal the crawlspace without vapor barriers include vapor retardant paint. This can be applied to the crawlspace interior rather affordably. However, vapor retardant paint is not nearly as effective as an actual vapor barrier. In addition, if the paint becomes damaged in any way, its ability to resist moisture seepage is compromised. Closed crawlspaces offer a lot of advantages to open crawlspaces. They do not allow humid air to enter the crawlspace, they are more resistant to insect and pest infestations, and they save on heating and cooling costs for your home. However, when it comes to whether or not merely sealing off your crawlspace is as good as installing a vapor barrier, the answer is no. While sealing your crawlspace reduces moisture entry, sealed crawlspaces still allow moisture to seep into them through the walls. This is because the walls and floor of crawlspaces are made of porous material. Water can seep through this porous concrete and end up inside your crawlspace. Vapor retardant paint reduces this occurrence, but will not eliminate it as well as a crawlspace vapor barrier. If you want to maximize the results of a closed crawlspace, you should invest in a dehumidifier as well, since this will help remove some of the moisture that seeps into the home. The effects will likely not be as effective as total crawlspace encapsulation, but they may be improved by a dehumidifier. Why Have a Vapor Barrier Installed? 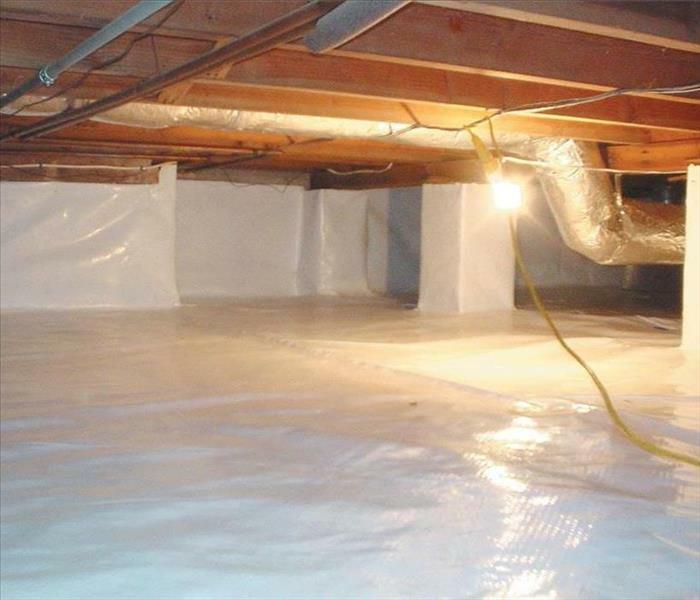 There are a few drawbacks when considering whether or not to install a vapor barrier in your crawlspace. One drawback is the cost. Vapor barrier installation costs vary, depending on the condition of the crawlspace (preparatory work may need to be completed beforehand) and the size of your crawlspace. Another disadvantage is that vapor barriers are not a do-it-yourself job. In order to ensure that your vapor barrier works correctly have it installed by a professional. Increased Energy Efficiency: Vapor barriers can act as a sort of insulation for your crawlspace, helping to regulate temperatures and lowering heating and cooling costs in your home and reduce your energy bill up to 20%. Improved Air Quality: Because vapor barriers keep moisture out, they reduce the chances of mold growth in your home. This will keep mold spores from circulating through the air in your crawlspace to the rest of your home, improving the overall air quality. Eliminated Condensation: Because vapor barriers are highly effective at preventing moisture seepage through the porous concrete that makes up your crawlspace walls, they can greatly reduce humidity levels in your crawlspace. This keeps condensation from forming on pipes in the crawlspace. Keeps Floor Temperatures Constant: Not only does increased energy efficiency in the crawlspace lead to lower energy bills, but it can also help to keep the above floors warmer during the cold months. Increase Home Value: Encapsulating your crawlspace will also improve the value of your home since it reduces moisture issues such as wood rot and mold in your crawlspace. This is a plus if you would ever need to consider selling your home. While there are some drawbacks to investing in crawlspace encapsulation, they are far outweighed by the benefits. If you have a damp or moldy crawlspace, call SERVPRO today. We can clean your crawlspace and install a vapor barrier to keep moisture out. 4/10/2019 - Commercial Fire Sprinklers...How much Water do they release? 4/4/2019 - Why Should You Choose SERVPRO? 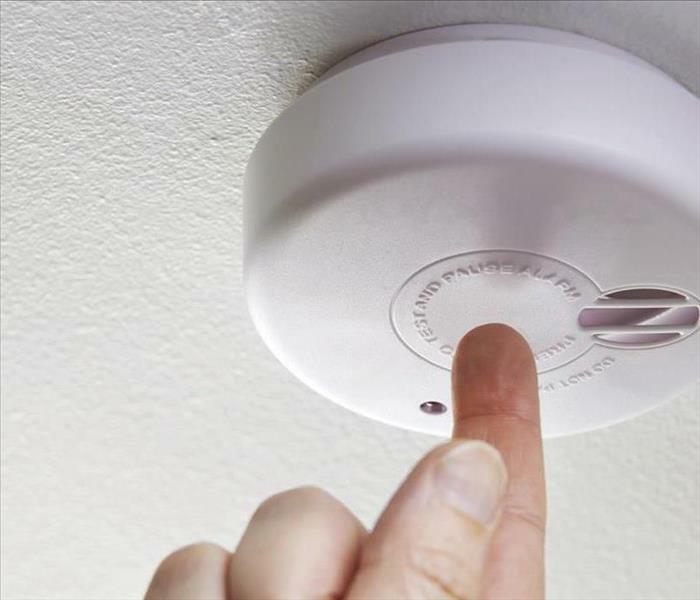 4/3/2019 - Smoke Alarms can save your life! 3/11/2019 - Should You Invest in Crawlspace Encapsulation?